Caplice Management Was Established In 1995 When David Caplice Discovered And Began Managing Human Nature. Their Debut Album "Telling Everybody" Soon Became The Most Successful Australian Debut Album Of The Time Selling Over 5 X Times Platinum And Landing The Guys International Support Tours With Michael Jackson And Celine Dion. Soon After Caplice Management Signed Girl Group Bardot, Crooner David Campbell And Alternative Songstress Katie Noonan And Began Developing Their Releases Into Multi-Platinum Success Stories. When Australian Idol First Debuted In 2003 Caplice Management Became The Exclusive Management Partner And Went On To Manage The Careers Of Guy Sebastian, Shannon Noll And Throughout The Many Successful Years Of The Show Also Oversaw The Careers Of Other Australian Idol Notables Such As Damien Leith, Young Divas And Jessica Mauboy. 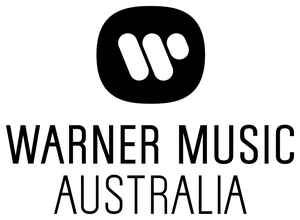 In 2008 David Caplice Sold 50% Caplice Management To Sony Music Australia And Created A New Management Venture Called Parade Artists. This New Business Creatively Developed Jessica Mauboy's Debut Album Which Received 9 Aria Nominations And Also Went On To Manage The Talent Output From Both Australia's Got Talent And The X Factor Tv Shows. In 2009 David Caplice Re-Located To Las Vegas To Set Up Human Nature's Motown Show At The Imperial Palace Hotel On The Las Vegas Strip. The Show Has Become A Huge Success Over The Past 4 Years And Recently Graduated To The Venetian Hotel On The Las Vegas Strip. In 2013 David Caplice Returned To Australia Where He Re-Launched Caplice Management And Entered Into A Creative Joint Venture For Warner Music - David Acts As A Talent Scout And A&R Consultant For The Iconic World-Wide Music Company. In 2018 David Has Signed To The Company Artists Such As East, Bobby Fox, Maribelle Anes, Cdb And Recently Singer Songwriter Jack Gray And Continues To Look For The Most Exciting Young Australian Artists To Take To The World.